Ever wanted to learn how you can invest in as little as $50 per week in a property? Or how you can capitalize on your super to invest and still gain a substantial return before your retirement? Then, look no further! 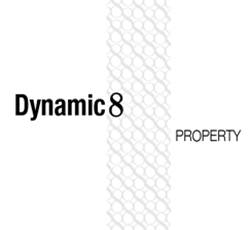 Dynamic 8 Property is here to help you find the solutions to your questions. We're offering a FREE, NO OBLIGATIONS appointment with our experienced property investment advisors who will guide you to your path to financial freedom. If you're interested, please call 1300 79 38 77. On a more personal level, I've seen clients walking in and out of my company feeling satisfied with what they've received so far. We hardly had any clients complaining about what we have to offer them. Everything that my company stands for is offering what's best for the clients in terms of customer service. Once you're on board with us, we give you the red carpet treatment which continues EVEN after your property has settled. Some people may think that most sales guys are pushy. Our sales guys aren't. They understand that every client is different and because we're here for our clients, they will never force you into a decision that you would regret later on. Best of all, everything is personalized and customized towards your financial wants and needs. You can be reassured that unlike a seminar, you get the full attention of our sales guys on a one-on-one, right at your door step. And check it out lor!